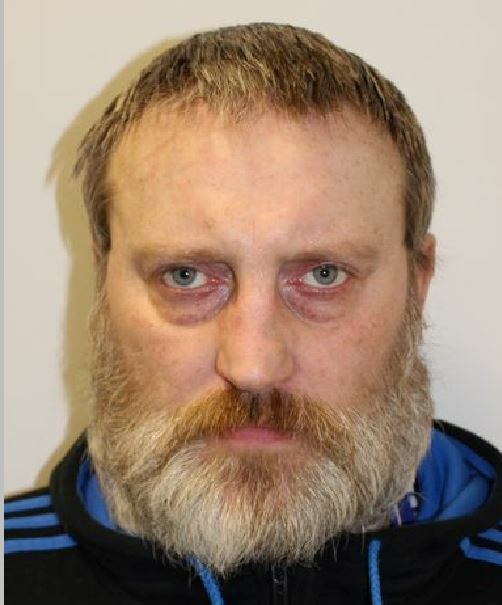 Sean Creighton, 45, of Enfield admitted to several offences, including one count of possessing a terrorist manual. 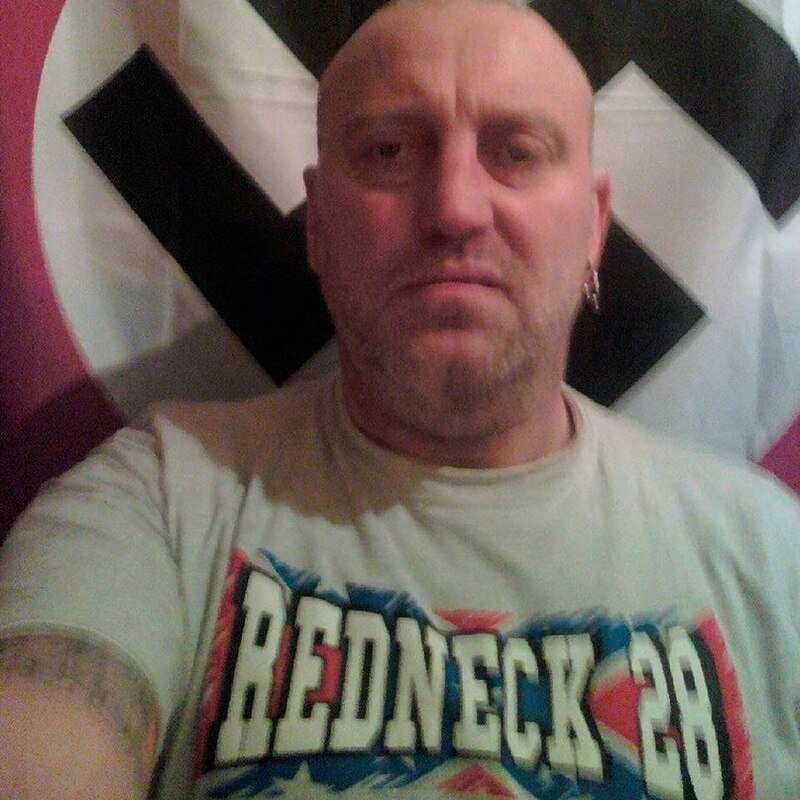 A white supremacist who idolised Adolf Hitler has been jailed after pleading guilty to hate crime offences. Sean Creighton, 45, of Enfield, north London, admitted to posting racist, Islamophobic, homophobic and anti-Semitic material on social media. Creighton, told police that he was “a bit of a hater who hated for the people”, Kingston Crown Court heard. He was sentenced to five years in jail for several offences, including possessing a terrorist manual. Prosecutor Jonathan Sandiford told the court: “The defendant was a committed racist, a member of the National Front. Creighton possessed an electronic document entitled “White Resistance Manual 2.4” which is said to contain details of improvised weapons and explosives. Mr Sandiford described it as a “complete guide on how to prepare for and conduct a terrorist campaign”. Creighton pleaded guilty to eight offences, including a charge of collecting information which could be useful to someone committing or preparing an act of terrorism. He also pleaded guilty to six counts of publishing or distributing materials that were likely to stir up racial hatred and a further count of possession of racially inflammatory materials. In one post Creighton called on his followers to “kill the Muslims” alongside an image of Hitler. A right-wing extremist has been jailed for five years following an investigation by the Met’s Counter Terrorism Command. Sean Creighton, 45, of Enfield, was accused of a terrorism offence as well as writing homophobic and racist posts for social media with the intention of stirring up hatred. 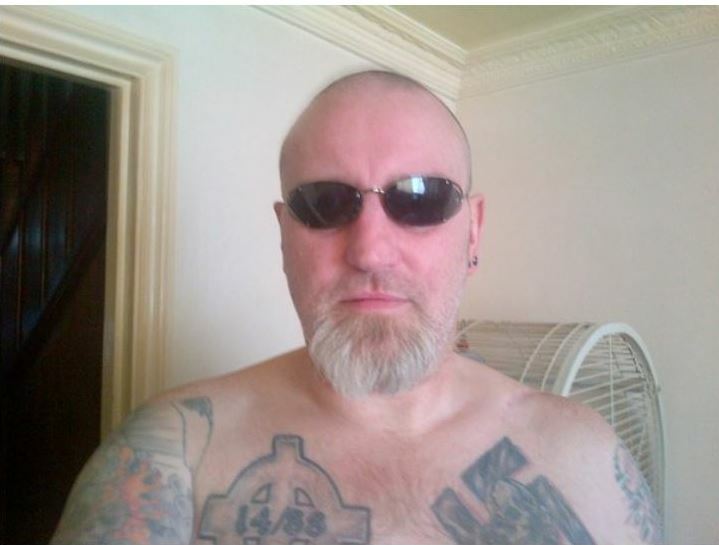 Creighton, a right-wing extremist, pleaded guilty to seven public order offences and one terrorism offence at Kingston Crown Court on Friday, 6 January. He was sentenced on Thursday, 23 February to four years’ imprisonment for the public order offences and five years’ imprisonment for the terrorism offence, to run concurrently. The investigation was launched into Creighton’s activities when officers from the Met’s Counter Terrorism Command became aware of a picture on social media of a man, they later identified as Creighton, holding an assault rifle standing in front of a Nazi flag. On 29 June 2016 a Section 46 Firearms Act warrant was executed at his address in north London. He was arrested under Section 19 Public Order Act 1986 – distributing written material intending to stir up racial hatred in relation to material on his social media account. When officers further investigated his activity they discovered he was using various methods to spread hate, including offensive stickers on street furniture and what can only be described as prolific activity on social media. They also discovered he had possession of a manual of a kind likely to be useful to a person committing or preparing an act of terrorism. On 31 August 2016 he was charged with a terrorism offence and public order offences and appeared at Westminster Magistrates’ Court the following morning where he was remanded in custody to await trial. A protester at an English Defence League march in Walsall has been given a suspended jail term and banned from any demonstrations for four years. Peter Jelley was caught on CCTV gesturing and shouting at a line of police in Walsall as trouble broke out at the rally last autumn. He was sentenced to 20 weeks in custody, suspended by a year, and given a Criminal Anti-Social Behaviour Order at the town’s magistrates court. The 24-year-old from Shropshire admitted a public order offence of using threatening or abusive behaviour at a previous court hearing and was sentenced yesterday. The footage from the afternoon of September 29 was played to District Judge Michael Morris and showed Jelley walking up to officers and ‘gesticulating and shouting.’ This was despite the efforts of a female to pull him away. He insisted his client had disassociated himself from others and had become angry after a relative was hurt. The court was told Jelley has previous convictions for a racially aggravated offence in 2011 and assault the year before. Jelley, of Prescott Close, Shrewsbury, was sentenced to five months in custody, suspended for a year. He was also ordered to do 250 unpaid work and go to an adult attendance centre for 36 hours. He was also ordered to pay £80 victim surcharge and £85 costs. AN URGENT call for help has been made to the government to protect Nuneaton from falling victim to the English Defence League again. Nuneaton and Bedworth Borough Council leader, councillor Dennis Harvey wants the Home Secretary Theresa May to take action as the town has been targeted by the controversial group more than any other place in the entire country. A letter, signed by Cllr Harvey, Cllr Peter Gilbert, the leader of the opposing Conservatives at the Town Hall, and chief executive Christine Kerr, has been sent to the corridors of power in Parliament asking for help following the most recent demonstration and march. “Saturday saw the fourth visit of the English Defence League to our borough, a visit that brought nothing but fear, problems and enormous cost to local residents,” Cllr Harvey said. “From what I can gather, we have now been targeted more than any other town in Britain. As featured in yesterday’s News, businesses and market traders are now counting the cost of the demonstration and march. Early indications are that around half a million pound in revenue was lost on the day, but that shocking figure could rise further. Despite some businesses choosing to close and others shutting up shop by the afternoon, there were stores and market stall holders who attempted to trade throughout the day. Their determination to ensure it was `business as usual,’ as well as the huge policing effort to protect the town has been praised by Cllr Harvey. “Can I pass on my thanks to those residents and to the market traders, shopkeepers and others who decided to stand firm and not let people from elsewhere ‘win’,” he said. Chiefs at Warwickshire Race Equality Partnership (WREP) joined the plaudits, particularly those who took part in the counter demonstration in the Church Street car park. “A big thankyou to the communities of Nuneaton, who have shown great strength and courage, and listened to community leaders to stand together against far right parties and not to rise to provocation and enticement,” said Helal Shahid, WREP chief executive. The huge policing operation almost certainly stopped simmering tensions boiling over into violence moments after the EDL’s official march had started at just after 1pm. It came to a nasty flashpoint as the march came past the Church Street car park where around 150 Nuneaton Anti-Facist Alliance (NAFA)and associated group members were staging a peaceful static, counter demonstration. Cans, bottles, stones and fireworks were thrown, and angry words and chants were exchanged between the rival protesters. It came to an ugly climax when both sides surged towards each other and police horses, dogs and riot officers had to rush-in to keep the two apart. The march then proceeded around onto Vicarage Street, past the Justice Centre, down into Bond Gate and then back up Wheat Street and into the Justice Walk car park, where an EDL rally was held. But the policing operation carried on way after the coaches had arrived to collect the majority of the sympathisers, who came from across the country. As a result of the huge police presence, seven arrests were made, which led to three people being charged and they are now due to appear before justices at Nuneaton Magistrates Court. They are Calum Michael Bruce, aged 23 from Hartshill, Nuneaton who was charged with a public order offence. Kevin Patrick Keegan, aged 44 and from Walsall, who was charged with a public order offence, and Gary Watson, aged 42 from Barnsley, South Yorkshire, who has been charged with being drunk and disorderly. All three have been released on police bail to appear before Magistrates at the Vicarage Street-based court on Tuesday. A 17-year-old male from Nuneaton who was arrested for possession of a knife has received a final warning. A 16-year-old male and a 17-year-old male, both from Nuneaton, who were arrested on suspicion of causing affray have been released on police bail. So has a 21-year-old man from Nottingham, who was arrested on suspicion of robbery. All three have been bailed to appear at the local police station at a later date, pending further police enquiries. A Carlisle man who burnt the Koran in the city centre could be facing up to two years in jail. Andrew Ryan, who claims to be a member of the English Defence League, appeared at Carlisle Magistrates’ Court today. He pleaded guilty to religiously aggravated harassment and theft – of the Koran from Carlisle Library. He said he had been viewing internet clips of extremist Islamic preachers and protesters earlier in the day then ‘lost it’. Ryan, 32, of Summerhill, went to the library and booked out a copy of the Koran using a card he had only applied for the day before. He then went to the monument on English Street and in front of shocked witnesses started shouting abuse about the Muslim faith. One of them was his former probation officer. Ryan managed to set fire to the book on his second attempt, after a friend passed him a lighter, then threw it on the ground and walked away. After arrest he told police that he knew his actions were likely to stir up religious aggravation. He also spoke of ‘Asian gangs’ and his anger at Islam. Ryan has a number of previous convictions for public order offences and assault. Defence solicitor Lauren Heesley said he was protesting against Muslim extremists not Islam as a faith. She told the court that he did not judge people by their race, religion or sexual orientation. Ms Heesley claimed that his conviction for racially abusive chanting at a football match had been a misunderstanding. She said he had been shouting abuse at the referee, as ‘the man in black’, rather than a player. At this point Ryan started sniggering and his supporters in the public gallery openly laughed. Ms Heesley said Ryan has a military background which he is proud of, so images of extremist Muslim protesters burning poppies had made him want to take revenge. The case was adjourned until April 14 for pre-sentencing reports and Ryan was granted bail. Magistrates did not discuss what punishment they were considering imposing but the offence carries a maximum sentence of two years in prison. As he left the courtroom, Ryan punched the air and said ‘no surrender’ to cheers from his supporters. Two men who took part in a violent demonstration in Aylesbury town centre in May are the first members of the English Defence League (EDL) to be given a Criminal Anti-Social Behaviour Order (CRASBO). Richard Price, aged 41, of Stonehouse Lane, Birmingham (photo top), and Collum Keyes, aged 23, from Somerton Drive, Birmingham (photo bottom), were each granted a 10-year CRASBO at Aylesbury Crown Court today (17/12), after admitting public order offences stemming from an EDL demonstration on 1 May 2010. The CRASBO was applied for jointly by Thames Valley Police and the National Domestic Extremism Unit, a national police unit. Price admitted a charge of causing threatening behaviour while Keyes admitted a charge of disorderly conduct. At today’s court hearing they were issued with CRASBOs, which prevents them from attending any public meeting organised by the EDL. In addition Price was given a 12-week prison sentence while Keyes was ordered to pay a £150 fine and £85 court costs. At the sentencing hearing, Judge The Lord Parmoor said: “On the evidence before me the only reason for this march and demonstration was to provoke some reaction in the local community, in particular the local Muslim community. PC Mike Ellis, Thames Valley Police’s Anti-Social Behaviour Coordinator, who led the CRASBO case, said: “This is a clear signal to those who use violence and disorder to further their extreme and racist views to intimidate and create fear within minority communities. Det Con Andy Haworth, of the National Domestic Extremism Unit, said: “We’re really pleased with today’s result which prevents two violent criminals from using Defence League demonstrations as a forum to commit violence and cause distress to others. “While the Defence Leagues are legitimate protest organisations, violence has been a persistent feature of their demonstrations, and we hope the success of today’s application will prevent that violence. Not knowingly to organise, travel to, participate in, or control any march, demonstration, protest or similar event in the open air which takes place more than 10 miles from the centre of Birmingham. Not knowingly to send or attempt to send any article, letter, fax or email that refers to, or seeks to promote or publicise, any march, demonstration, protest or similar event in the open air which takes place more than 10 miles from the centre of Birmingham. THREE men have been fined after a protest by the English Defence League in Manchester city centre. William Crangle, Kevin Greaves and David Monks were all arrested on Saturday as hundreds of EDL members came to the city to demonstrate. The organisation claims to oppose only radical Islam but supporters were seen making Nazi salutes and singing patriotic songs during the demonstration in Piccadilly. Around 1,500 people joined a counter protest by Unite Against Fascism. The two sides were in a face-off for five hours, separated by a police line including officers in riot gear and on horseback and 48 people were arrested during the day. The demonstration left the city with an £800,000 bill. EDL supporters Crangle, 30, of North Croft, Oldham, Greaves, 30, of Springwood Hall Road, Oldham, and Monks, 33, of Manchester Road, Bolton, all admitted public order offences of using threatening, abusive or insulting words or behaviour when they appeared at Manchester magistrates’ court yesterday. Crangle and Greaves, who appeared in the dock together, were arrested at 11.45am, as they walked along London Road, near Piccadilly station. Police asked Crangle to remove a bandana that was covering his face, suspecting he might be trying to conceal his identity, the court heard. He swore at the officers and was arrested. Mr Greaves was also arrested after repeatedly swearing as officers tried to search him. Crangle was fined £160 and Greaves, who is on benefits, £80, and both were ordered to pay another £100 in costs and victim surcharge. Both men apologised for wasting court time. Monks was fined £80 plus £95 in costs and a victim surcharge after the court heard how he was arrested as EDL protesters were escorted away from Piccadilly Gardens and towards Victoria station by police at 4.30pm. Police were detaining another man when Monks grabbed him and tried to pull him from their grasp. He swore at officers before being arrested, magistrates heard.